Why? Because the patient’s understanding of what they should take is based on the appearance of each pill. Change the pill appearance and confusion occurs. Therefore having the patient demonstrate what they actually take using the pills themselves provides the best possible medication history and indication of their unsupervised behavior. Frequently this conflicts with what our electronic records and charts indicate. In addition, we sometimes find dangerous situations that would have never been discovered if we had not explored the patient’s pill bottles. For example, take this dangerous duo. The only difference between these two generic medications? 1mm in diameter. Nearly impossible for a human to differentiate, and it is not unheard of for a patient to take both medications simultaneously. You might think that the two medications above were similar in medication class or function given their nearly identical appearance. The only difference is a “5” versus an “8” in the imprint. 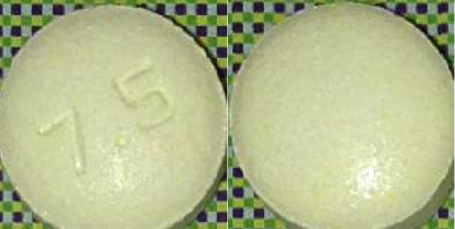 These numbers are very small (both pills are 6mm in diameter) and very easy to confuse. However, they couldn’t be more different. 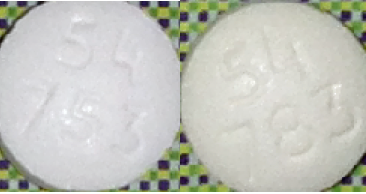 The pill on the left is a cancer medication (letrozole 2.5mg) and the pill on the right is a pain medication (codeine sulfate 30mg). The danger? The cancer medication is taken once a day and the pain pill is taken as needed – perhaps as often as 2 every 4 hours (12 pills per day). So confusing these two could lead the patient to overdose on the breast cancer drug by a factor of 12. Yikes! We discovered this visual relationship because one of our customers’ patients was taking both of these medications at the same time. Opening the patient’s pill bottles and allowing them to take a minute to demonstrate what they take every day is the best way to begin the medication reconciliation process. What you find when you look inside their bottles might also scare you, as there are many dangerous look a likes in circulation.